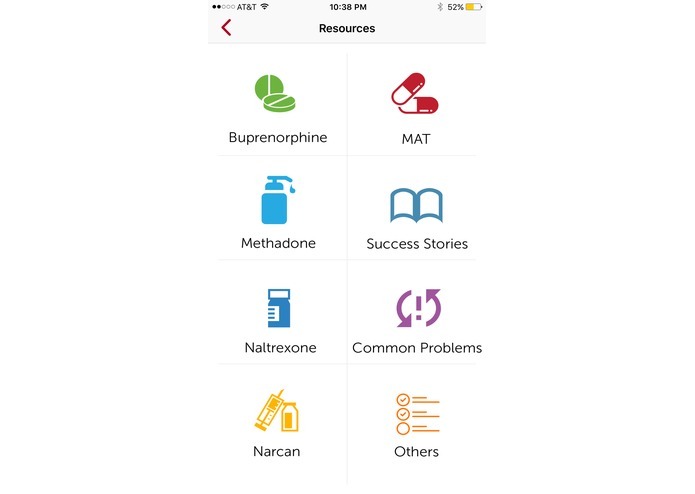 FlexDek for MAT includes peer support, rewards, information & resources to help people recover from opioid addiction. FlexDek for MAT is our contribution to combat the opiate epidemic that is sweeping our nation. I am a Doctor and a Licensed Psychotherapist also in long term recovery. I am the husband to a recovering addict and the parent of an addict, who is currently receiving Medication Assisted Treatment. FlexDek for MAT is a natural product extension of the suite of solution focused services I have created. FlexDek for MAT is a compilation of beneficial features designed to assist the recovery process of clients utilizing Medication Assisted Treatment (MAT). It is designed to target the five critical insights set forth by SAMHSA. To accomplish this a Console was developed that features tools strengthening self-care. Check-In and Coaches are paired so the client can have accountability based on self-report of survey items. These responses are recorded and accumulated by the User so their efforts at compliance and change are validated. To ensure up-to-date information is available for Users, a Resource file was adopted as the best method to manage articles, research and latest news. To address community support, we identified two best practices for mutual aid, Forums and Meetings. These features open multiple pathways for continued development and support. In the Forums, Users can read, post and create new topics for conversation with others using FlexDek for MAT. With the Meetings tool, Users find links to locate and map support meetings where a welcome community sharing similar challenges awaits. To effectively manage time, we created a Scheduling component that interacts with the mobile device calendar to set and keep appointments. 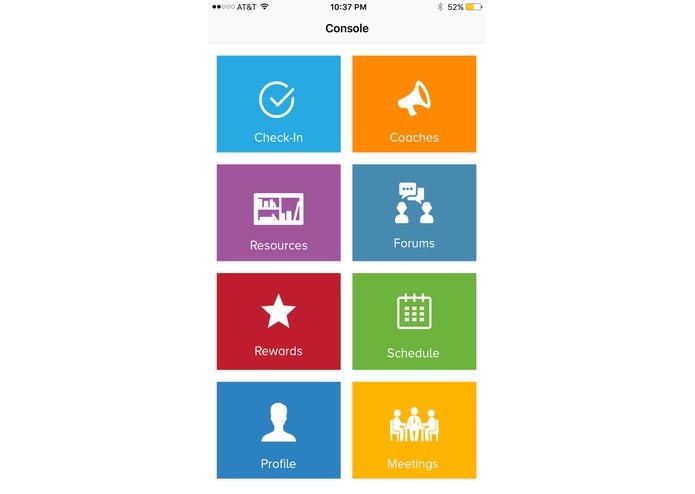 To increase the likelihood of long term utilization of FlexDek for MAT, we built in a Rewards module. When Users check- in they are awarded points for positive responses to the survey items. Thresholds are established and when met, Users earn and are notified about tangible rewards that they can acquire. FlexDek for MAT has met and exceeded the contest requirements, we are pleased with the finished product and hope you see it as a solution this severe social problem. 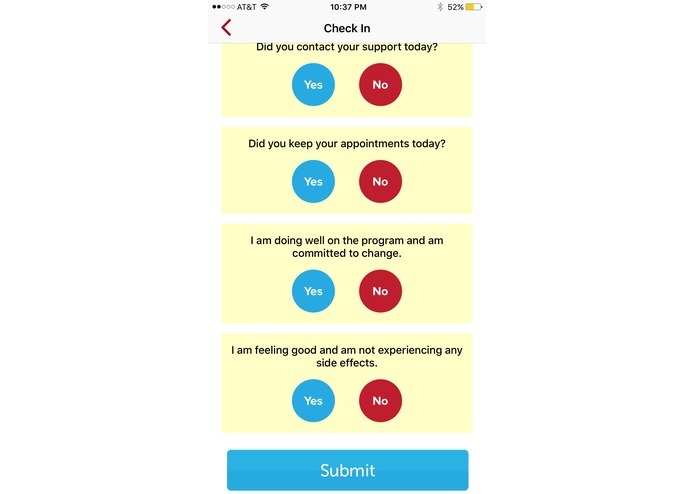 FlexDek for MAT bridges the gap between Users (patients) and Providers (Doctors, Coaches) by utilizing a customized survey tool and incentivizing users with rewards for positive responses. This is an extension of the FlexDek platform designed to enhance accountability and provide users and stakeholders with the opportunity to monitor, track and provide early intervention for non compliance. 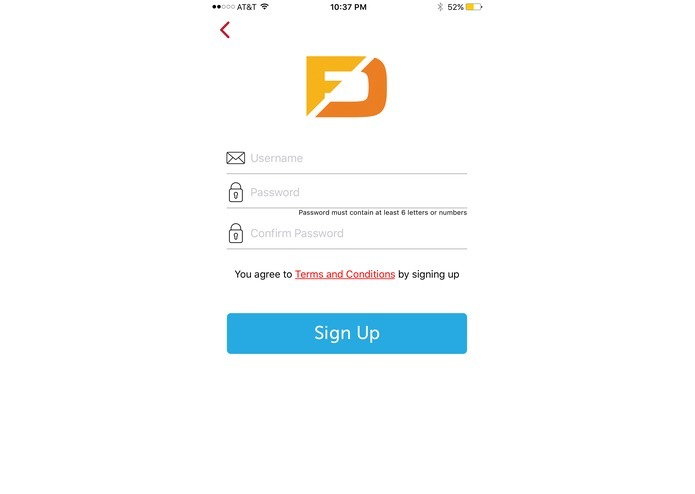 I conceived FlexDek as a basic platform to address varied medical or behavioral diagnosis, seamlessly. Adapting the platform to target the opiate crisis plaguing America, FlexDek for MAT is a logical extension. This stems from my clinical background, technological expertise and business acumen to contribute a viable solution to an issue that has touched me through my lifespan, as a child of an addict, my own addiction and subsequent recovery, husband to a recovering addict, father of an active MAT oriented addict and a doctoral level therapist specializing in addictions. FlexDek for MAT provides a unique user experience by using a simple self-reporting Check In to measure compliance with prescribed medication regiment. The User earns points for affirmative responses and earns tangible goods and/or services in exchange. Negotiating agreements with pharma and potential sponsors of premium rewards to get FlexDek for MAT into the competitive marketplace. My contributions to FlexDek for MAT started many years ago with a strong desire to impact mass change for minimal costs. I developed this tool with that focused purpose. My challenge was finding the right platform to implement rewards for compliance. The scourge of opioid addiction fits. I conceptualized, designed and led the team to implement my vision for a user friendly accountability tool that will measure and reward behavioral change benefiting individuals, families and their communities. Developer of creative, solution focused apps. FlexDek for MAT has been approved in the APP store since. The latest version, 1.3 was approved on Saturday 5/21/16. We are continually working on improvements.